Jabra has already shown itself with a number of products and thereby the release of the top model in the current headset line draws attention. The company has applied several new technologies for the first time, in particular a digital DSP-processor enabled to process sound and sever noise was installed. In the company's news release the headset is called the first product equipped with a DSP-processor, but actually that is not true. Suffice it to recollect the BlueSpoon headset, they were the first to have such sound processing, moreover at present there are models with two processors in the series of these headsets. Let us reject affected statements and determine potential of this interesting product. The headset's design is quite unordinary: a light behind the ear part and a massive active unit, which is wide, but short enough. The size 68х33х26 mm, weight 26 g. At first sight behind the ear part do not seem to be capable of holding firmly the headset on an ear. This opinion is mistaken, the headset can easily be worn on both right or left ear (just turn the behind the ear part). The headset's black part is made of soft rubber and fits ear quite well. There is a loudspeaker opposite an auricle, it adjoins the ear, but is not put in entirely. This goes owing to a soft fastening. The headset can slightly move, when running you will feel it moving gently. However even a jerky turn of head will not make the headset fly off the ear, it is rather reliable in that case. Wearer spectacles will like this headset, as the slim behind the ear part gets on with an ear arm. 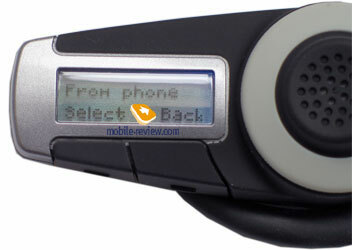 To personal impressions, the headset resembles products by Sony Ericsson, for instance, Sony Ericsson HBH-65, HBH-600, HBH-610, HBH-670. The two latter are direct rivals with Jabra BT800. The active unit looking massive is just semblance. And wearing the headset for an hour does not cause unpleasant feeling, for the weight distributes evenly and the fastening is soft. By ergonomics this product is one of the best. Plastic of side frames and a lopudspeaker is black and lusterless, by touch it seems velvety and reminds that of Motorola v300, v535. On the main surface one may see a functional circle, a kind of selector with a turning rod in the middle. The main problem for the most of headsets is location of volume keys, for when redressing a headset one changes their position. Nevertheless the manufacturers have achieved the headset works similarly on every side: the selector is situated in the same place and do not change its location for being symmetric relatively the active unit. 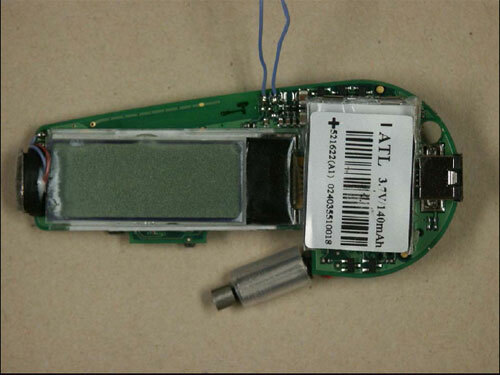 The Mute key is inserted into the selector, it is semi-transparent and has an indicator inside. By default when the headset operates the indicator blinks once in tree seconds, during talking - once in a second. If the blinking annoys you, it can be easily turned off in the menu. Pressing the key in the standby mode calls the headset's main menu. There are two keys on a side surface: one confirms an action, or serves as OK, and lifts up the receiver as well; another on the contrary cancels a call and an action. Unfortunately there is no way to get them placed equally anytime. If you wear the headset on the right, you will find them on the bottom, if on the left, they are on the top. The Cancel key is also charged with switching on the headset. Nearby there is a hole for coupling mode activation. 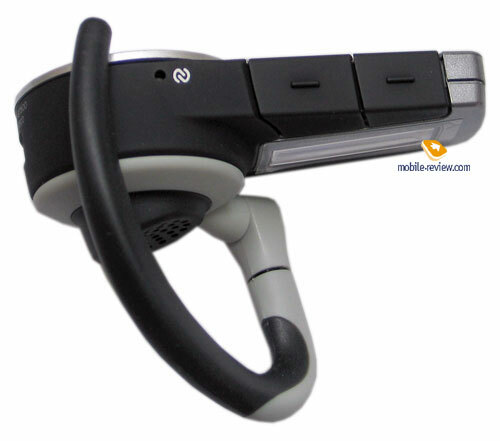 A special stylus is provided with the headset, it is used for activation of this mode. Besides such hardware mode, one may call a coupling action from the headset's menu. A microphone is found beyond a small metallic grid, it is not put quite well relatively the plastic. There is a charger connector on the opposite side. On the internal side of the headset there is a screen, the image on it is directed aflat and do not changes depending on the position of the behind the ear part. The resolution of the screen 21х64 pixels, backlighting is blue. The screen shows two text lines, at call a number is indicated on the top line (12 characters) and the backlighting comes on various events. The direction of the screen is of little importance, since the headset is supposed to be worn only outdoors or when talking and in the rest of time placed in a pocket of a shirt or trousers (that makes clear the lack of a case in the set). At an incoming call you take the headset and look who is phoning then answer or cancel. If you have decided to answer the call and pressed the Yes key, then the connection is delayed for 2 seconds. The delay enables you to put the headset on your ear. To my observation, it suffices even in quite close conditions: one have usually time to say 'Hello' and afterwards the connection starts. During first day of using the headset you will have to become accustomed to that peculiarity. Unfortunately, at an incoming call the headset displays only a number, because is not able to extract a name from the phone book. 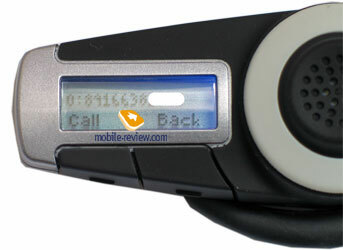 There is a support of switching a call from the headset to a phone and vice versa, parallel handset mode like that on Sony Ericsson headsets is lacking. 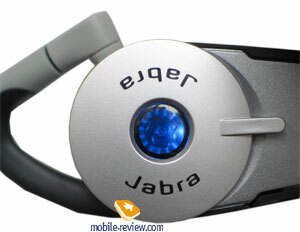 In standby mode the screen indicates battery charge (four points) and the inscription 'Jabra BT800' as well. The capacity of a Li-Pol accumulator is 140 mAh. According to the manufacturer, the headset is able to provide 6 hours of service in the talk mode and 125 hours in the standby mode. In fact the headset has shown the results lower than the declared ones: so it was working for 2 hours and 30 minutes in case of permanent talking. In the standby mode and an hour and half of talking the headset has worked for the whole day. The headset can serve for two days with only an hour of talking. The obtained results are some lower than possible, as for some time it was used outdoors at a temperature of -10 Celsius. The manual informs that under such conditions the capacity of an accumulator decreases, it is typical for batteries of that kind. The indoors tests showed the working time increase by 10 percent. All in all, this is a good solution for one day, it fits especially those who use a phone often. The battery life is characteristic for its class and the headset represents a reasonable compromise between the weight of the device and the battery life. The charging indicator frequently reduces by one or two points after a talk, particularly long. Five minutes later a point comes back. The first point holds on longer than the second and third: they vanish very quickly. The headset works for the longest time with the last point, still its disappearing happens instantly - you will harder notice that. One should accustom oneself that the headset is to be charged when only a point is left. The set is supplied with a USB-cable which helps charging the headset from a computer. The charging time is longer than that from a standard charger (standard time approximates to an hour), but quite acceptable. You are assumed to have a cable always about you with a customary charging unit (зарядное устройство) at home or at work. While battery charging, the headset is disconnected from the phone, after charging it switches off. You just have to switch the headset on and it will connect to your phone. Such behaviour can be interpreted as the manufacturer's supposition that you would not use the headset during the charge. In my opinion, in man cases the connection with the headset should have remained established, at best it is chosen in menu. The presence of a screen has enabled to implement a convenient interface in menu. Entering is possible bypressing the Mute key, the first item is the call list. The headset logs 10 latest numbers both incoming and outgoing. There is no extra information, namely time of a call, call duration. Scrolling the menu is possible with the help of the selector and all the menus are circular. In settings one may choose one of preinstalled 5 melodies (4 of them are polyphonic and sound very nice). Besides, an option permits of playing melodies from your phone. This function does not work correctly in all cases. 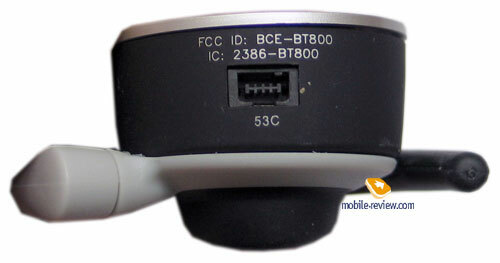 We have tested the headset with Motorola A780, Motorola V3, Nokia 6230, Nokia 6630. In half of the cases a melody did not play, it mostly concerned midi and mp3 files. There arose an absurd assumption that the data traffic which is to be transmitted and the manufacturer of the headset adversely affected. Simple melodies play with no problems, but complicated ones sometimes fail. 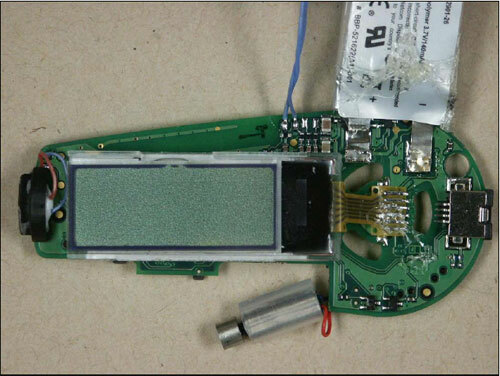 The headset did not work with Motorola phone in that mode, instead of ring there resounded a single squeak. In respect to Nokia phones, that was alright. Unfortunately, the regularity was not disclosed. A vibrating alert can be activated separately. While keeping the headset in a pocket you will surely feel the vibra. Granting that the headset's dimensions are minimum, the availability of such function commands respect to tiny little one. Menu can be displayed in one of 4 languages: English (by default), German, French, and Spanish. From complementary potential there is one worth mentioning - an option of adding several phones to Bluetooth-devices list, choosing an active phone. This function suits those who use two phones. 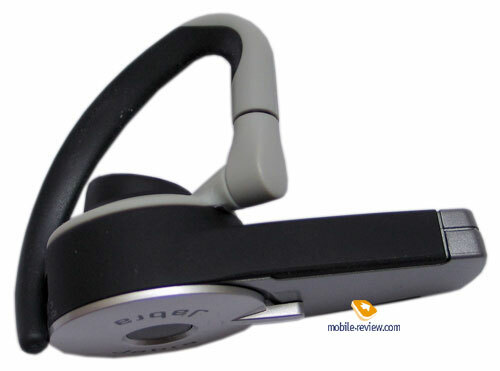 The headset supports Bluetooth 1.1/1.2 and profiles headset, hands-free. In case that your phone support only headset profile, some of functions will not be available, first of all determining a number or, rather, translating it. The most important characteristic of the headset is the quality of voice transmission. For short headsets there is no problem with audibility, yet the voice transmission outdoors takes some troubles. The DSP-processor is of high importance in severing strange noise, adjusting volume and the quality of voice transmission. Furthermore, the quality of directed microphone took a part as well. With my pleaser I may call the present headset a device of the third generation (three features - the presence of the DSP, the screen, and a Caller ID). Now the headset has no direct rivals, they will appear only in April: Sony Ericsson will be the first, other devices in autumn or even in winter. The quality of voice transmission is worth praising particularly. An interlocutor hears your voice neatly and clearly. In the wind your voice remains plainly distinguishable even if a frontal wind directly come upon the microphone does not worsen the audibility badly. By this factor the headset is one of the best in its class or probably the best. You always hear well the voice of an interlocutor and the volume adjustment is handy. The headset I tested has the software version 21. In future we'll probably have a chance to renew the software independently by means of a USB-cable. Still this function has not been confirmed officially, it realizes theoretically, as there were similar discussions in the company. The sale of this headset starts in February, the price forms $140-150. 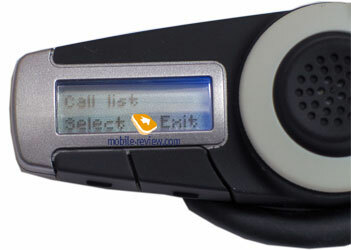 Today the headset has no direct rivals, only Sony Ericsson HBH-660 can serve as a resemblance. However the latter model costs less ($115-125), although has lower functionality. 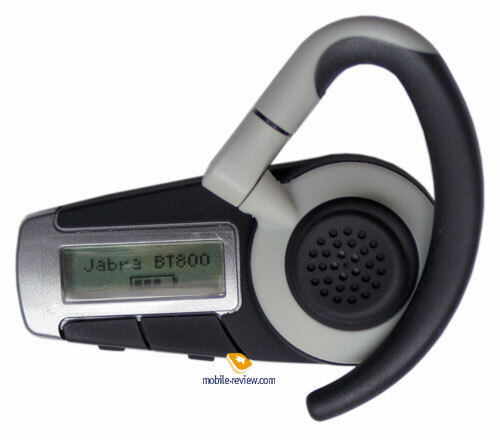 For several months Jabra BT800 will remain the company's top model as well as the best offer in the market. 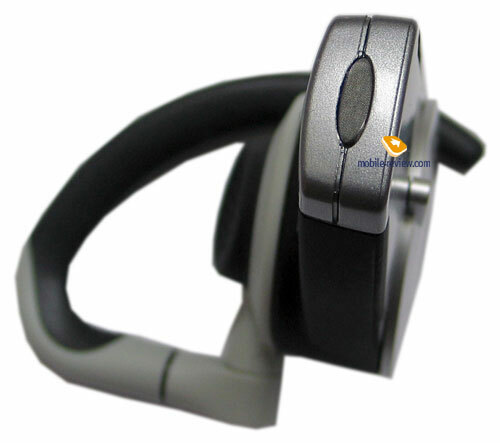 The headset is far from cheap, in prices it is determined on the limit of similar devices. The headset suits perfectly those who got used to purchase the best product and not to save up on quality. For the first time Sony Ericsson has lost its leadership in the innovations area for Bluetooth-headset and been tardy with similar products. P.S. To tell the truth, I do not like the headset's design, for I have rather got used to products by Sony Ericsson. A week later the appearance of BT800 did not annoy, became customary and mainly handy. It is a rare kind of products in which the substance overcomes the form and a user takes the device as is. 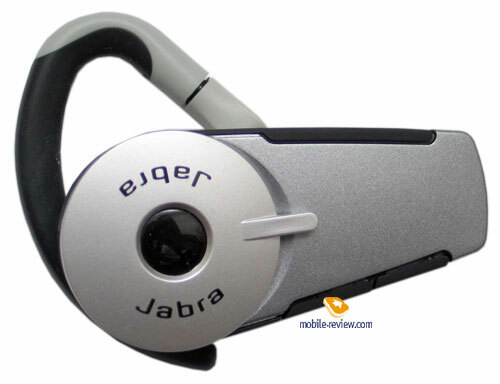 In aggregate all these features permit to assert that Jabra BT800 is to get a bestseller.